Do I look fierce now? I look like that in the morning sometimes. Wow, yes, she does look fierce. I wouldn't have thought at first glance that this was a yawn. Great shot!!!! 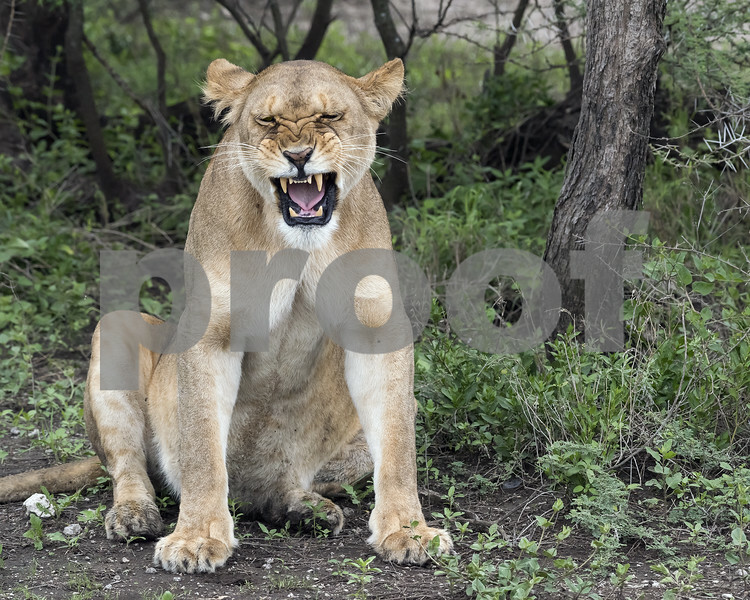 It's interesting that the "fierce" look is really just the last stages of an innocent yawn. I've seen that on a male lion, too--the wrinkled face and fierce look. Terrific timing! Because of your comment about the tree trunk cyan coloration, I took a really close look at the image. I really do not see that color; the pp did not alter the color at all...could your monitor being seeing something a bit different? That look would make me shutter! Excellent capture.